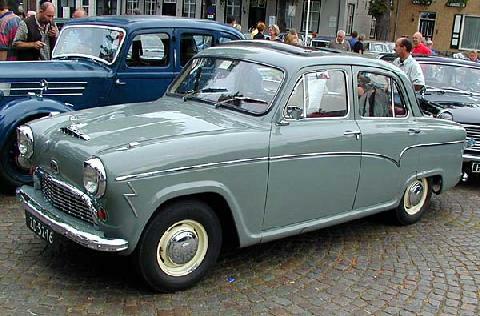 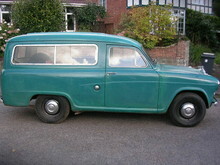 In 1957 Austin introduced a new look to its saloon range, as part of the "facelift" the Austin A55 Cambridge was launched to replace the mechanically identical A50. 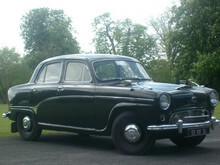 As before the A55 used the 51bhp, 1489cc engine available with manual, manual overdrive or semi-automatic gearboxes, top speed was around 75mph. 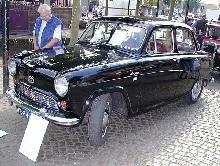 The main changes between the A50 and A55 were confined to the body styling. 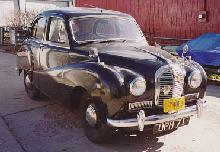 The A55 now had a longer, larger boot and a softer rear wing line. 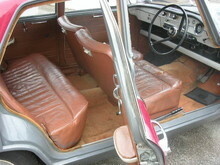 A full length chrome trim moulding swept down each side of the car which lent itself to some daring, two tone paint colour schemes. 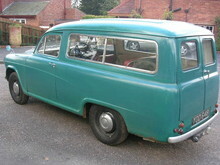 The A55 Cambridge stayed in production until the arrival of the new Farina range of 1959.